For the second time in as many months, a pipeline supplying gasoline to millions of people on the U.S. East Coast was shut down. 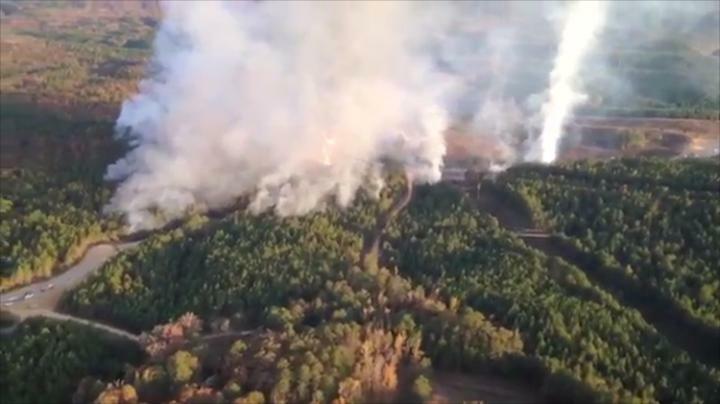 On Monday, October 31, 2016, Colonial Pipeline Co. shut down its main gasoline and distillates pipelines in Shelby, Alabama after an explosion and fire occurred when a repair crew hit the gasoline pipeline with a trackhoe, igniting its contents. Colonial Pipeline, based in Alpharetta, Georgia, operates 5,599 miles of pipelines, and transports more than 100 million gallons of gasoline, jet fuel, home heating oil, and other hazardous liquids per day from the U.S. Gulf Coast to the New York Harbor area. At the time of the explosion, a nine-man crew was working on the Colonial Pipeline system intending to restart a section of the pipeline that one month earlier (September 9) suffered Colonial’s biggest gasoline leak in nearly two decades. The September 9 leak released as much as 8,000 barrels (336,000 gallons) of gasoline in Shelby County and led to days of dry pumps and higher gas prices in Alabama, Georgia, Tennessee, and the Carolinas while repairs were performed. We understand that the cause of the September leak remains undetermined. But the restart has been planned for mid-November after removal of a bypass line that was installed following that leak. According to the U.S. Energy Department, the Colonial Pipeline system is the biggest refined products system in the United States, and is responsible for supplying about one-third of the 3.2 million barrels of gasoline consumed per day on the East Coast. The effects of the latest disruption were not immediately clear. But there appears to be concern that the explosion creates the possibility of another round of gas shortages and price increases. In fact, U.S. gasoline futures jumped on Monday as much as 13% to $1.6351 a gallon—their highest since early June—following news of the explosion. According to PHMSA data, the pipeline has already had five spills reported in 2016 in Alabama, including the one in September. And, pipeline safety has come under increased scrutiny in recent months following a dispute over Energy Transfer Partners’ 1,100-mile (1,770-km) North Dakota Access Pipeline. It is uncertain how these recent events will impact the oil and gas industry. One can certainly expect oil and gas consumers on the East Coast to feel the pinch. This could result in business interruptions generating insurance claims separate and apart from any claim for damages sustained by Colonial Pipeline from the explosion. Daily fluctuations in fuel prices could impact these claims and, as such, insurers should pay close attention to prices during any claimed period of interruption. Separately, given the increased scrutiny for pipeline safety that appears to have resulted from recent industry events, insurers can expect increased delay claims for future losses as regulatory agencies become more involved in the investigation and repairs.